The resident Expedition 31 crew took advantage of their guaranteed cloudless vantage point on board the International Space Station to observe the overnight transit of Venus across the Sun. Of course you should never look directly at the Sun and anticipating this celestial conjunction, Flight Engineer Don Pettit had the foresight to take a solar filter with him to the ISS. 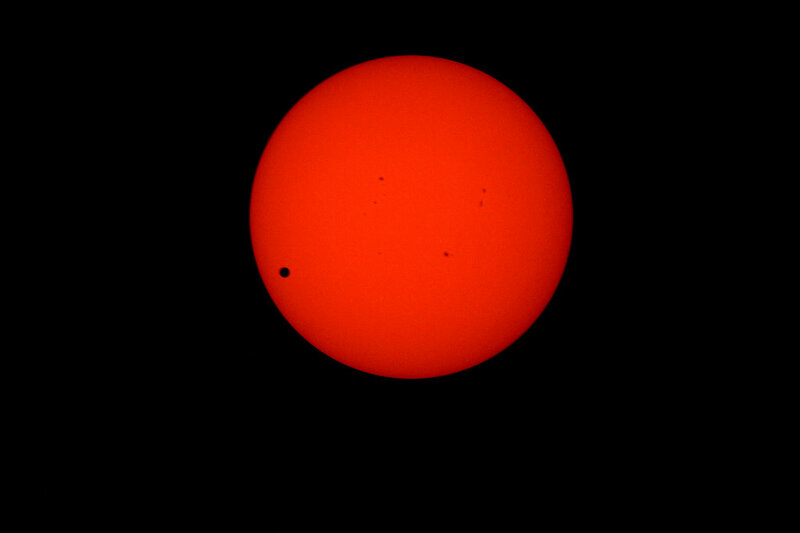 This is the first time the Venus transit has been observed from space. The last opportunity occured in 2004 but the crew did not see the transit, mainly because they had no solar filters on board. The next Venus transit won’t occur until 2117. This entry was posted in Transit of Venus. Bookmark the permalink.